SAN FRANCISCO, CA--(Marketwired - Jul 14, 2016) - The Hype Foundation, providing people with entrepreneurship mindset and start-up best practices, on the way to better lead business, social and technology impact launches the first global platform in tech innovation for sports. The platform will include global youth startups competition that will take place alongside the Rio 2016 Olympic Games. The goal of this project is to create the world's first wide-scale-ecosystem platform for groundbreaking innovation in sports, focusing on wearable accessories, broadcasting tech, Apps for athletes, coaches and fans. The selected ventures will be personally mentored and guided by some of the world's biggest companies, including: Google, Adidas, Ernst & Young, Nike, Accenture and Black Lab Sports. Amir Raveh, CEO of the Hype Foundation, noted: "The market for innovation in sports is currently estimated at $450 billion and compared to other markets is still in its infancy. The goal is to provide the first ever international exposure for Innovations that will revolutionize the world of sports as we know it." 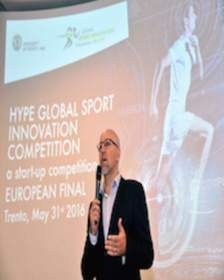 Towards the forthcoming Rio Olympic Games in August, the Hype Foundation in conjunction with the world's biggest sports brands has launched a platform for the first time called - 'The global innovation for sports competition'. Eight regional competitions have begun last month around the world: U.S.A., U.K., Middle East, Europe, Balkans, Africa and Latin America. The winning projects will go to the Olympic Games in Rio. This Tuesday (July 19), 10 final candidates will be selected to appear before a senior panel of judges, top experts and Investors in SF: Mr. Mounir Zok, Head of Innovation at US Olympic Committee, Mr. Luke Bodensteiner, VP at US Ski & Snowboard Association, JP O'Brien, Managing Partner at Black Lab Sports & John Mix, President at Finis. 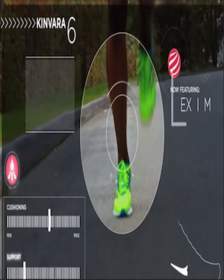 Among the 10 startups that will present at the regional competition: Mogy - online software for personal trainers and coaches, VeroVr - a virtual reality content startup that creates games and apps to provide a revolutionary fitness experience and Halo Neuroscience for elite athletes, that uses pulses of energy to increase the excitability of motor neurons, benefiting athletes in two ways: accelerated strength and skill acquisition. Mr. Carlos Arthur Nuzman, President of the Rio 2016 Olympic Organizing Committee, Mounir Zok, Head of Innovation at US Olympic Committee, Daniel Brusilovsky, CIO of the NBA champions, Avram Grant, former coach of Chelsea football club; Yuval Brown, CEO of Saucony (IL); Mac Freeman, VP Denver Broncos (Super Bowl champion of 2016); Dr. Gilad Weingarten, Head of scientific at HYPE and representatives of investment funds and private investors. The winning start-up will receive a 100 thousand Euros from the owner of Disruptive Technologies Fund. Among the startups already participating in projects is AXIS of Louis Saha - Ex Manchester United. Amir Raveh, CEO and founder of the Hype Foundation, added: "While other areas around the world are at the forefront of technological progress, the world of sports has suffered from relative conservatism for decades. Our goal is to change this perception. We've realized that this field creates a strong bond with the community, especially the younger generation and therefore should draw tens of thousands of people around the world to take part in this unique project." Hype Foundation is the education arm of MG Equity partners investment house (EMGI) Operating since 2003. A Member of the IHUB.EU - A European Union organization. Hype's mission is to provide people with entrepreneurship mindset and start-up best practices, on their way to lead business, social and technology impact. Hype's commitment is to challenge, empower and develop the next generation visionaries of the world. The foundation works globally in over 40 countries, Cooperate with leading figures in the innovation fields, government and companies.